To make your wedding perfect, simple and small things matter a lot. 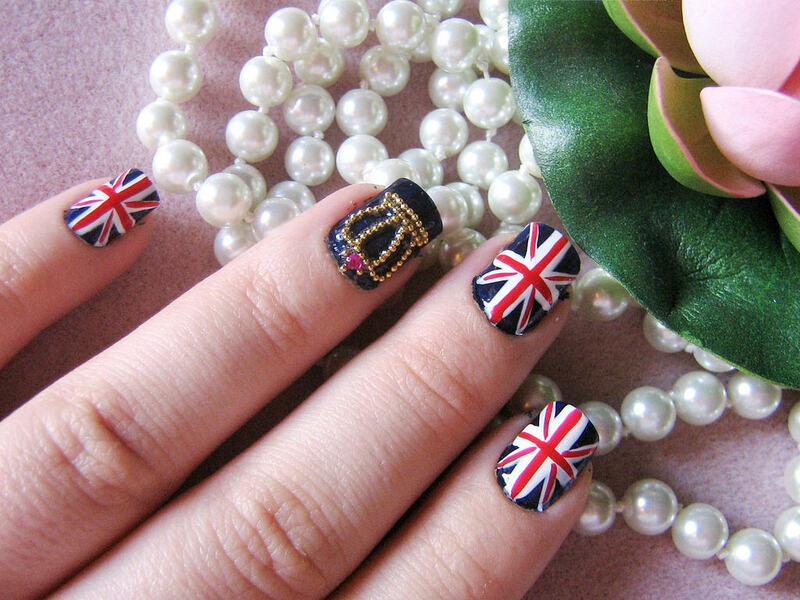 Aside whole nine yards of makeup and wedding dress, nail art also comes into play. Imagine how simple and non-painted nails will look on a vibrant dress. Surely it is not going to be a fun factor to embrace on your special day. 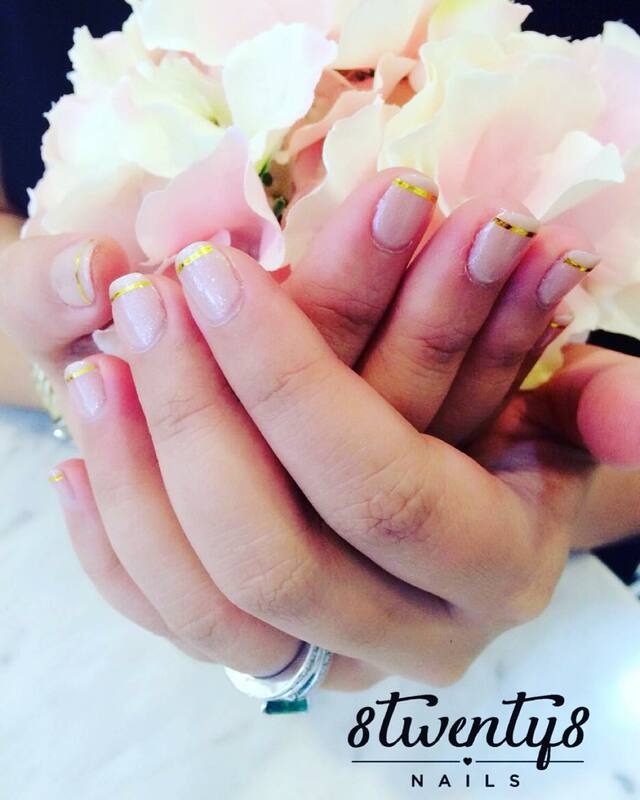 Your nails are equally important as your hairstyle to get a stunning look on this very important, life changing day. 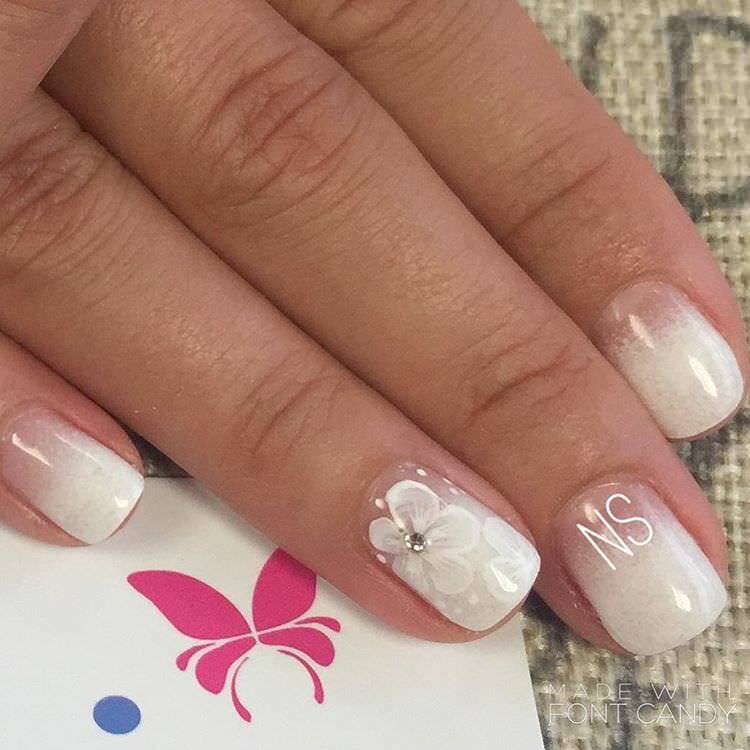 This unique design demands some addition of the accessories on a simple nail paint. 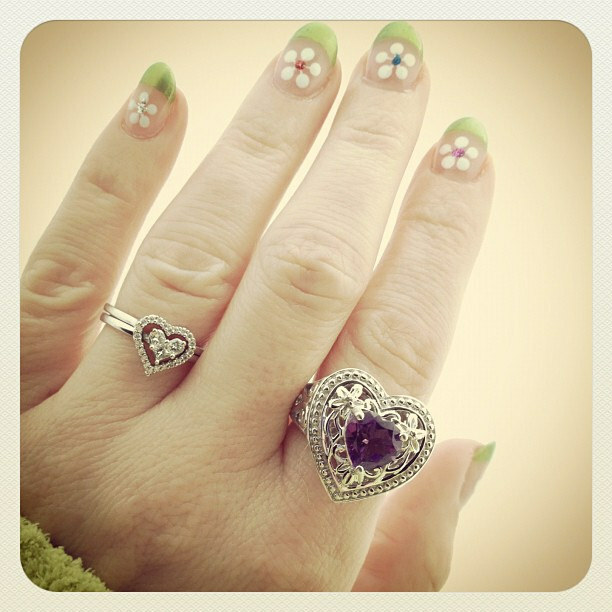 Just paint half of the nail and add a soft texture with a beautiful chain or other accessories. The accessories should match ideally with the wedding outfit. Girls having short nails can opt for this pattern. 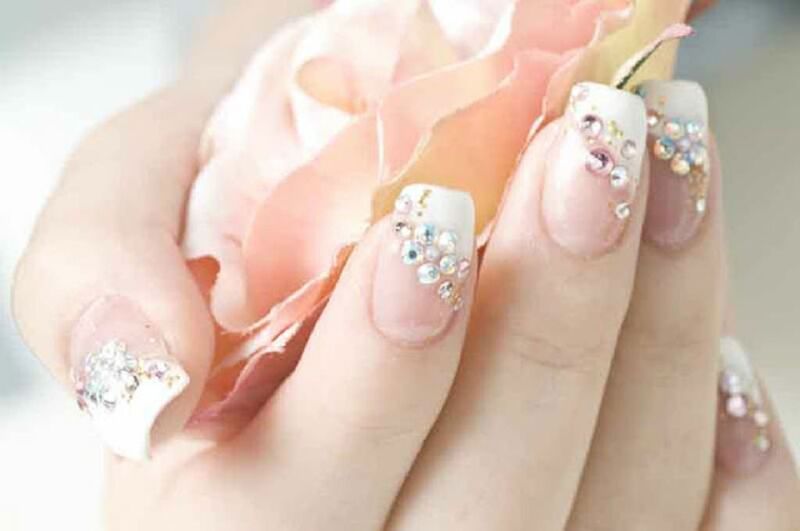 The artificial themed wedding nails are widely used in the weddings as these nails carry good finishing touch which cannot be grabbed without the help of a stylist. Give golden touch paint on your nails and spread shine on it. Brush it properly for a finishing look. Spread the color beautifully. Put some fashionable accessories like small pearls or fake diamonds to get the best look. 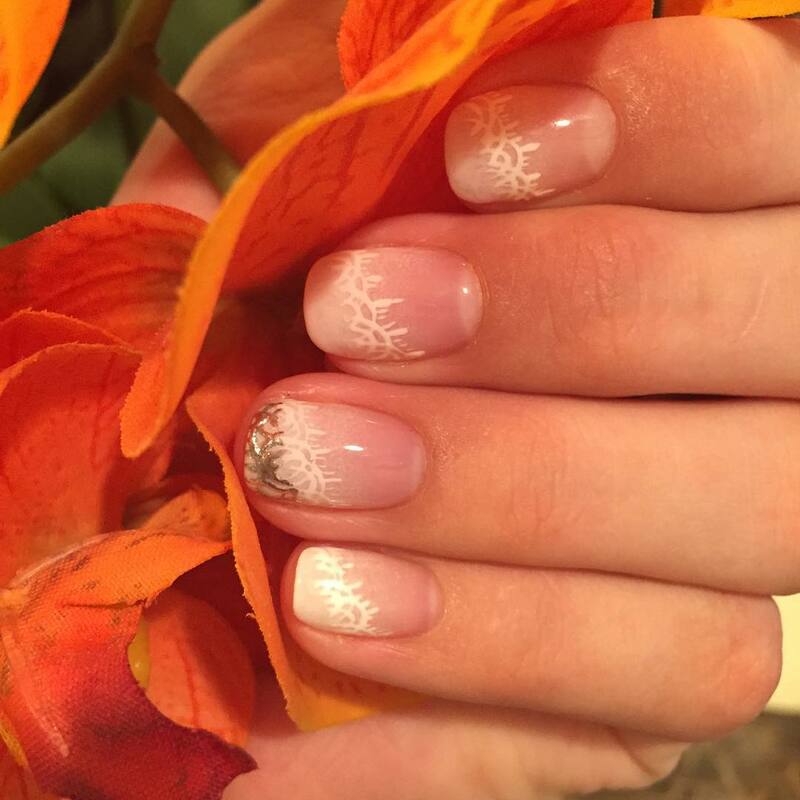 Originating from the traditional nail art, the side swept design looks awesomely well and attracts eyeballs with its smooth finish. The designer coat is wider from one side and thicker on the other side. A dark and light combination is necessary to make the design complete. 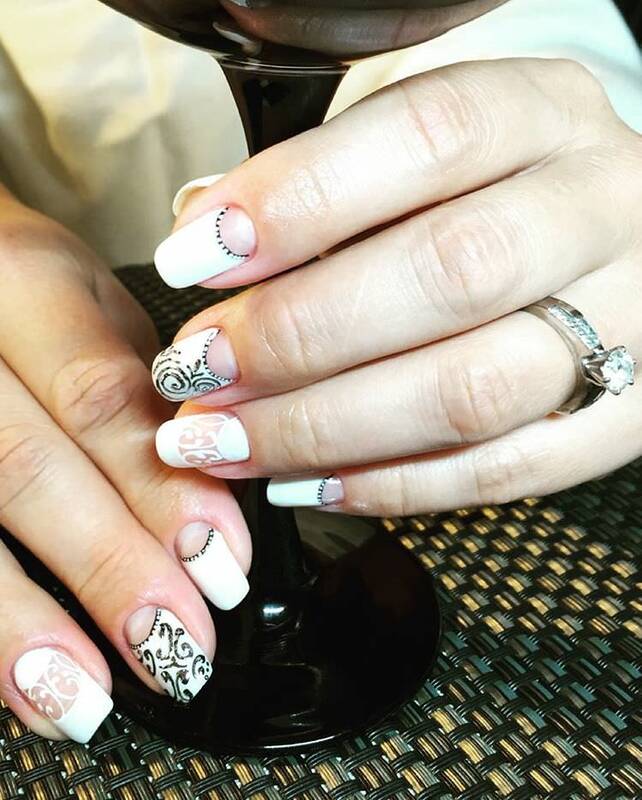 Bride looks prettier in the skeletal nails and there are oodles of designs available for the bridal skeletal nail designs. Just give a shiny golden touch at the top of the nail and keep the rest of the nail painted with simple yet attractive nail color. The design is quite simple but gives a flawless look. Get the light color paint on the nails and at the top, give a metallic look in the form of the pure silver or golden color. 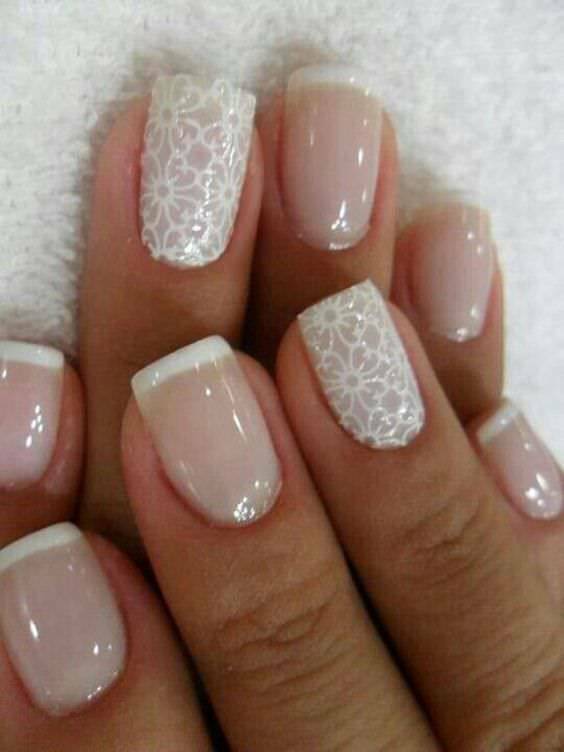 These wedding nail designs suit best on square shape nails. 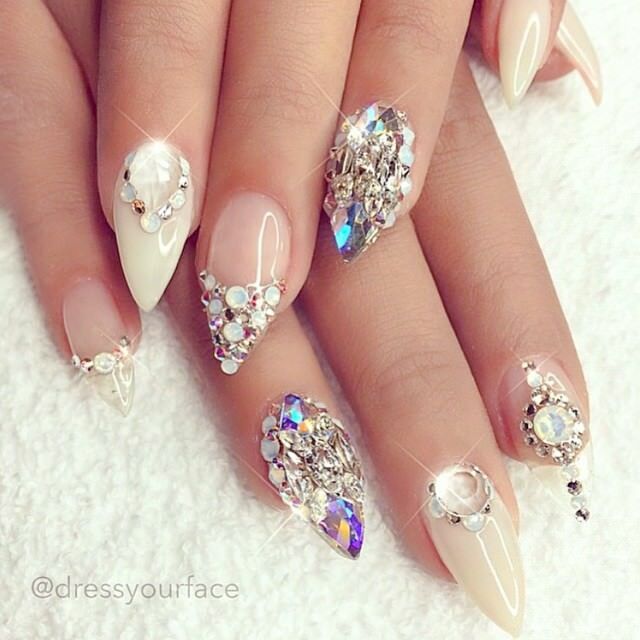 Make your hands beautiful with the stylish acrylic nails design. 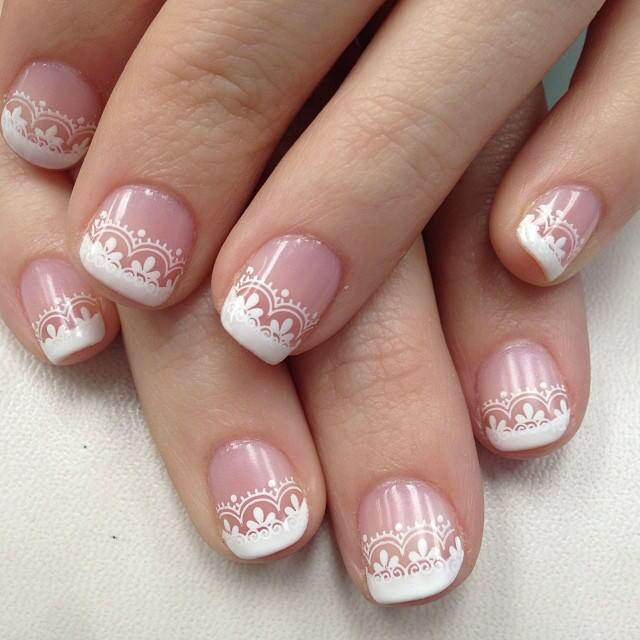 This design demands great efforts but looks awesome on the nails of the bride. 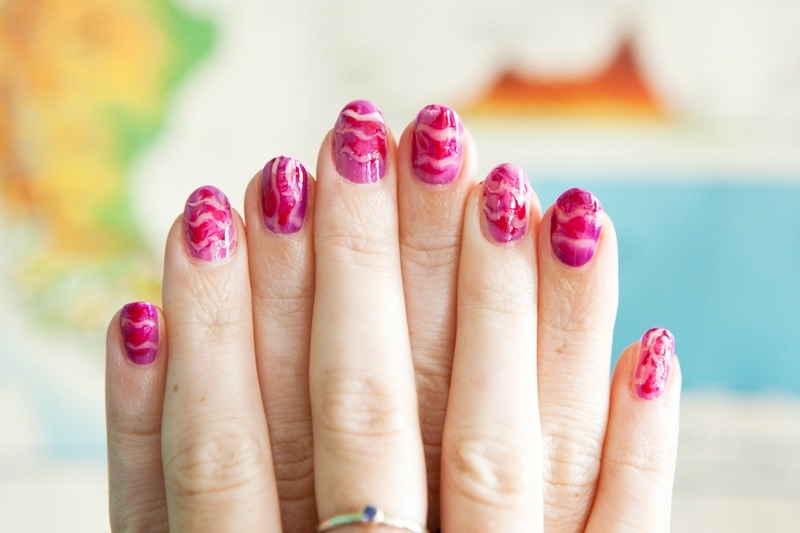 On the skinny nail paint, draw beautiful acrylic designs. 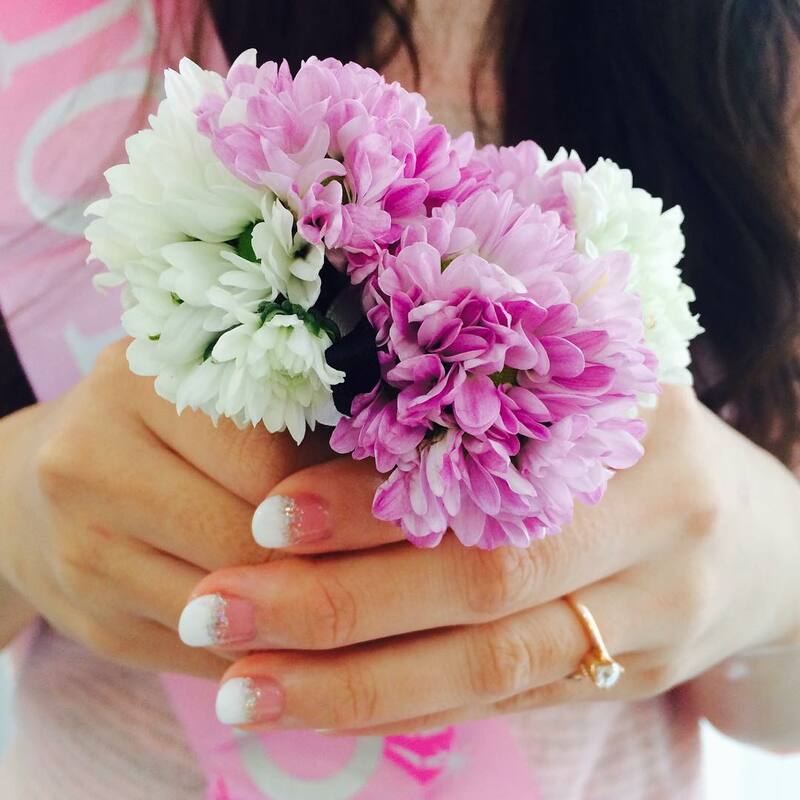 Go girly with light and dark shades of pink on the fingertips. 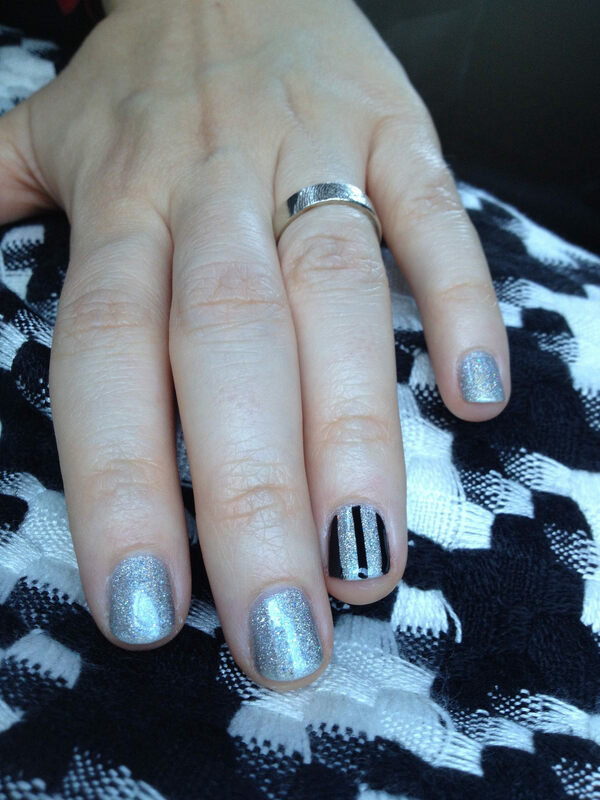 Give a silver coat by drawing some additional designs on the pink nail base. Add softness with the nail softener. Shape your nails carefully otherwise, it will spoil the look. 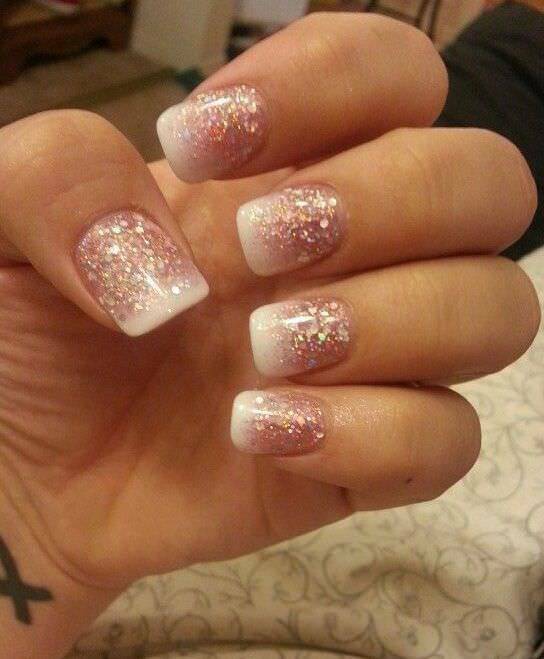 On a light color paint, add some glitter with the help of the nail art tools. 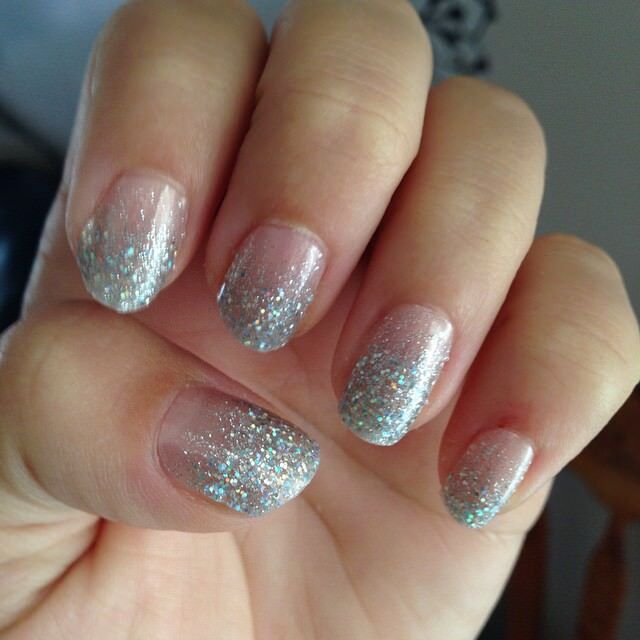 After glittering the nails, sum up the soft texture with the help of spreading shine on the nails. These shiny look will give the best tuning to your overall position. Before designing your nails, be sure to get the best manicure done. 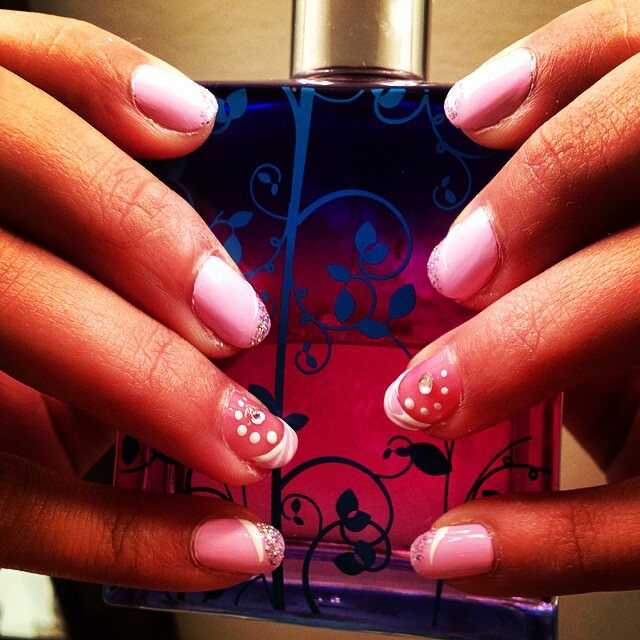 The process nourishes your nails. Give the top coat wherever needed after polishing the nails. 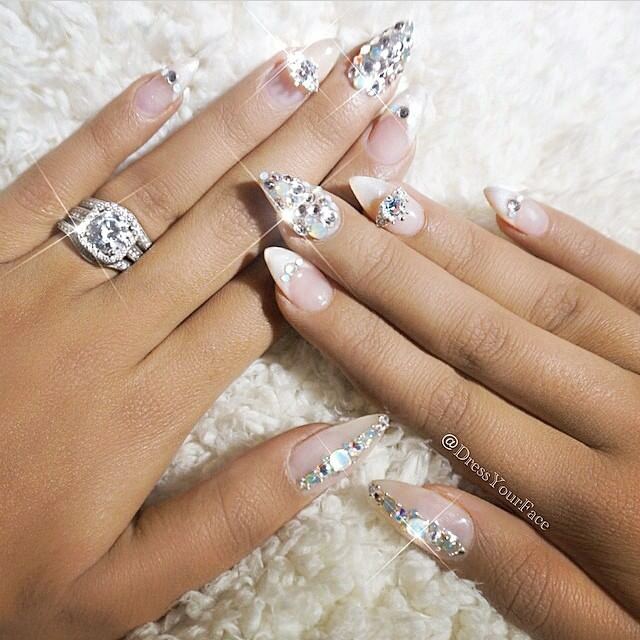 If you have long nails, you do not need to go for the artificial ones. 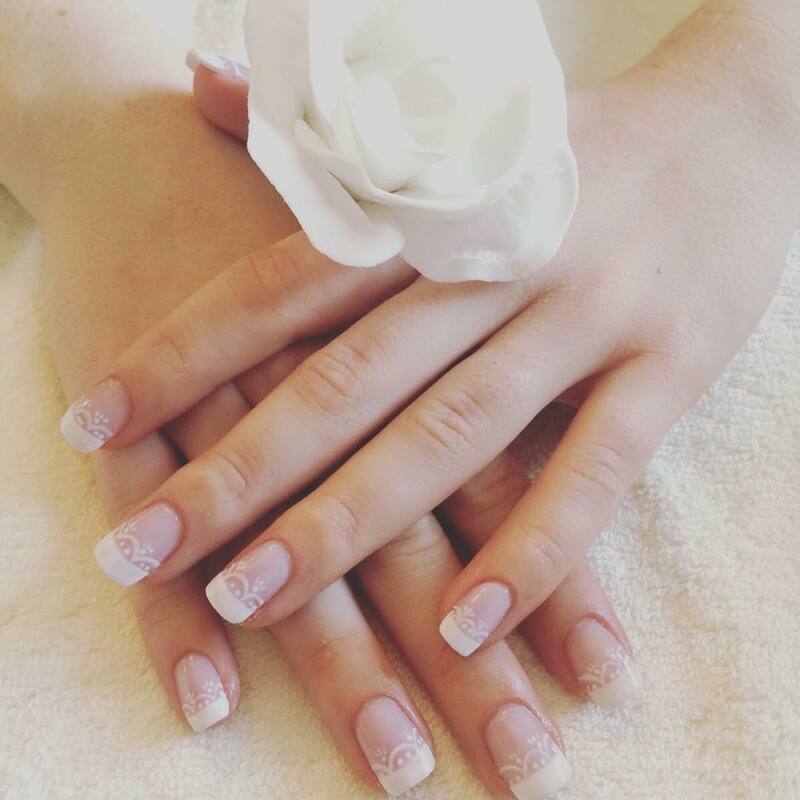 Just shape the long nails properly and design it as it will give the best natural look.